On mobile platforms, the highest revenues today is generated by gaming industry. The revenue of smartphone gaming industry will get increased by two times by the year 2016. This shows that the trend of gaming apps is increasing. Highly favoured games like Temple Run, Angry Birds proves that gaming industry is very profitable. At Webczar Host, we are quick to understand this and brag about our graded services of iPhone game development. We have some amazing lustrous gaming apps to our credit, and we take great pleasure in developing new ones. 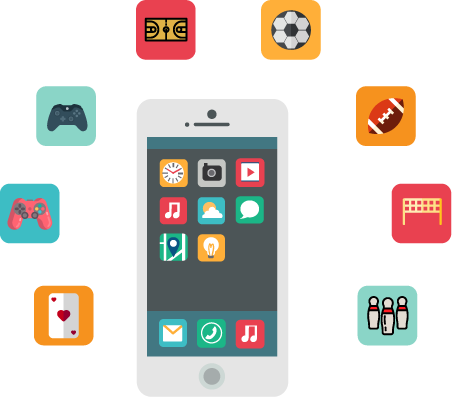 We have a skilled team of professionals who are specialized mainly in the work of designing and developing feature-rich iPhone gaming apps in terms of awesome graphics and game-play. You just give us an app idea and we will turn it into a reality by using advanced technological methods and app development expertise. In today's date, iPhone gaming market is the most profitable. Around 70-80% gaming apps are downloaded in mobile app download category. Apps which heightens your business by increasing your revenues.